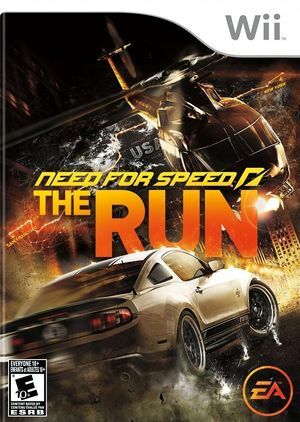 Need for Speed: The Run is a racing video game, the 18th title in the Need for Speed franchise. The gameplay is fairly similar to Hot Pursuit. Players race down freeways until they meet a police car. The officer will then try to chase them down and wreck their car. They will also encounter other objectives such as a straight-up race. There is another mode where players duel a rival. They can also race to toll booths that double as checkpoints. Red light trail emitted by rear lights appears and disappears while driving See issue 8762. The graph below charts the compatibility with Need for Speed: The Run since Dolphin's 2.0 release, listing revisions only where a compatibility change occurred. This page was last edited on 16 January 2018, at 03:32.